For travel enthusiasts, Dubai is the topmost destination in their bucket list. There is hardly any travel plans to Asia without a stopover at Dubai. 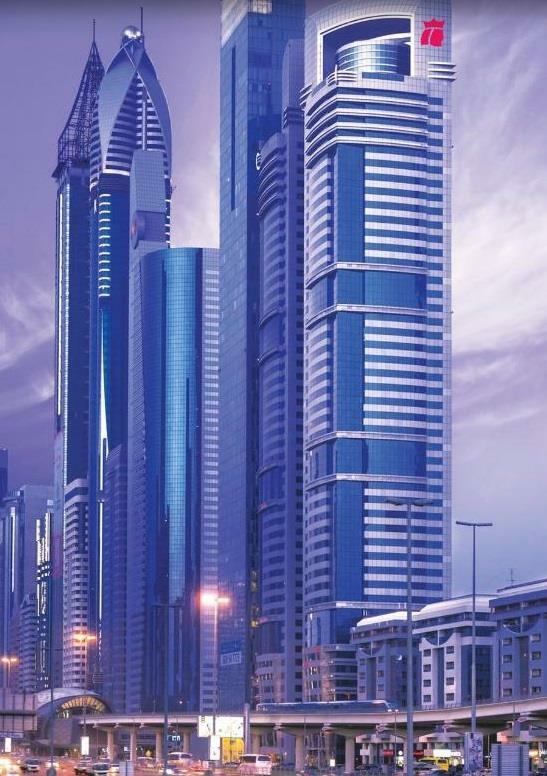 The beautiful skyscrapers, excellent shopping facilities, sun kissed beaches all attract tourists to Dubai. Being a posh and opulent tourist destination, Dubai has a lot of luxurious and budget friendly hotels and resorts to cater to each and every type of travellers. For a refreshing and relaxing holiday you should select the hotel wisely. Here are few of the budget friendly hotels you can try out while vacationing in Dubai. Centrally located at the World Trade Center, the Novotel is an ideal choice for both business and leisure travelers to the city. This hotel consists of 412 rooms raning from superior rooms to suites. 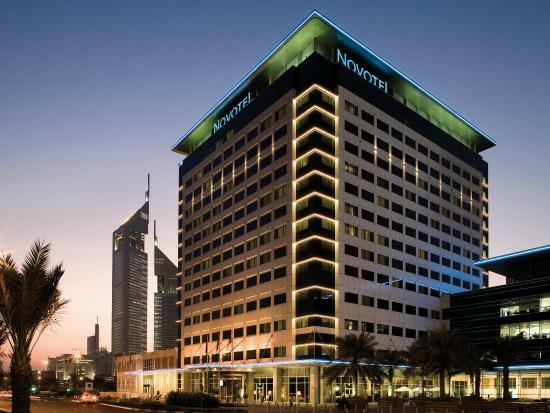 Unlike most of the hotels in Dubai, children below 16 years of age are accommodated free in their parents room at Novotel. While the Entre Nous restaurant offers international cuisine, the café cream coffee shop offers beverages and refreshing mocktails complemented by sweets and savories. The Blue Bar and Pool Bar Chill’s are excellent hangout places where beer, wine and cocktails are served. If you are looking forward to de stressing yourself in a calm environment, the Thalasso and spa at Novotel would be the right choice. If you are a beach person who likes to spend the vacation close to the prestine beaches of Dubai, then the JA Ocean View hotel would be the right choice. 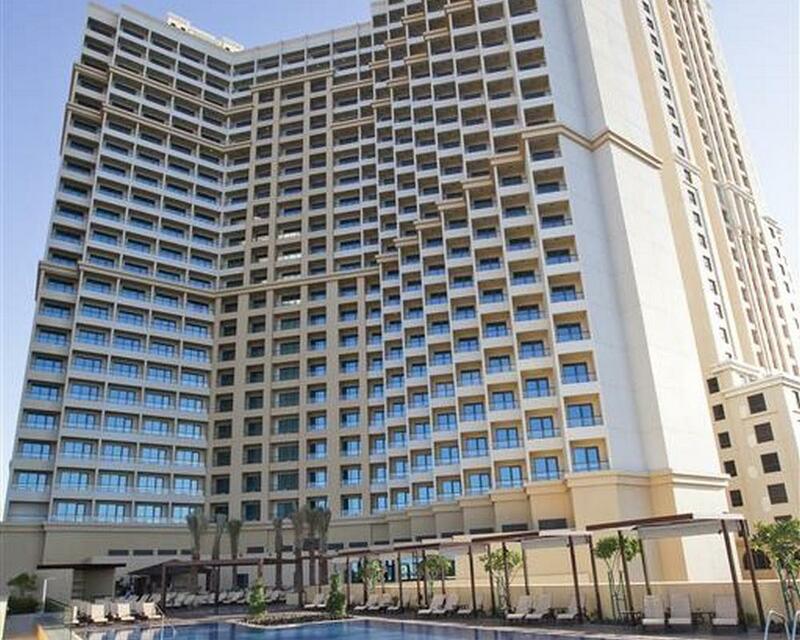 Located at The Walk, Jumeirah Beach Residence, the JA Ocean View hotel comes with 342 rooms and suites with spacious balconies and excellent sea view. The various restaurants inside the hotel offers delectable Italian, French and Arabic cuisine. The hotel also houses few sports bars with a terrace, giant screen and extensive selection of beverages. 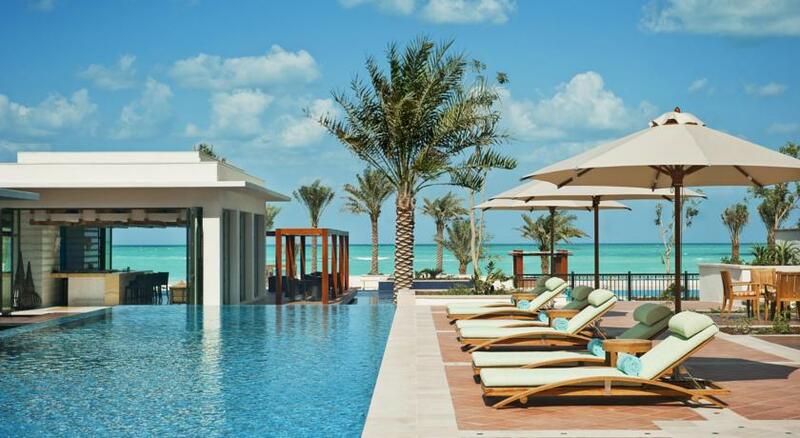 For leisure and entertainment, guests can head straight to the Jumeirah public beach or to the temperature controlled pool in the hotel. 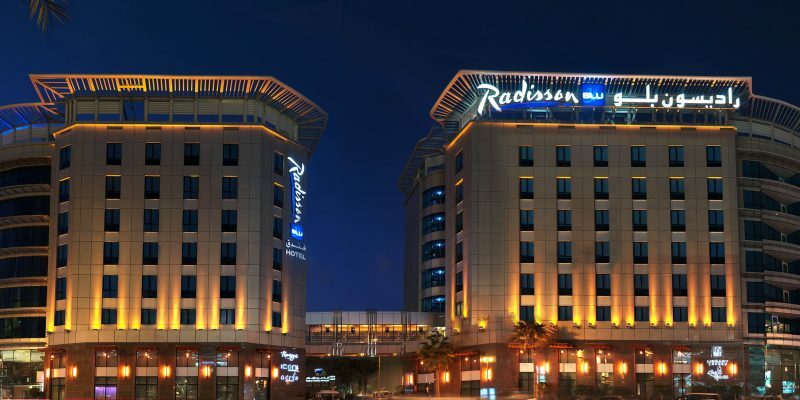 Located close to the Dubai Creek and at walk able distance from bus and metro stations, the Radisson Blu would be an ideal choice for those who are on the look out for comfortable stay at a convenient location. This Dubai hotel offers 276 rooms of world class standard ranging from standard room to suites to cater to all budget types. The 7 restaurants of the hotel serves authentic Chinese, Japanese, International, Persian and Emirati cuisine along with a separate section for seafood and confectioneries. For unwinding and relaxing the hotel also has a separate bar and nightclub area. 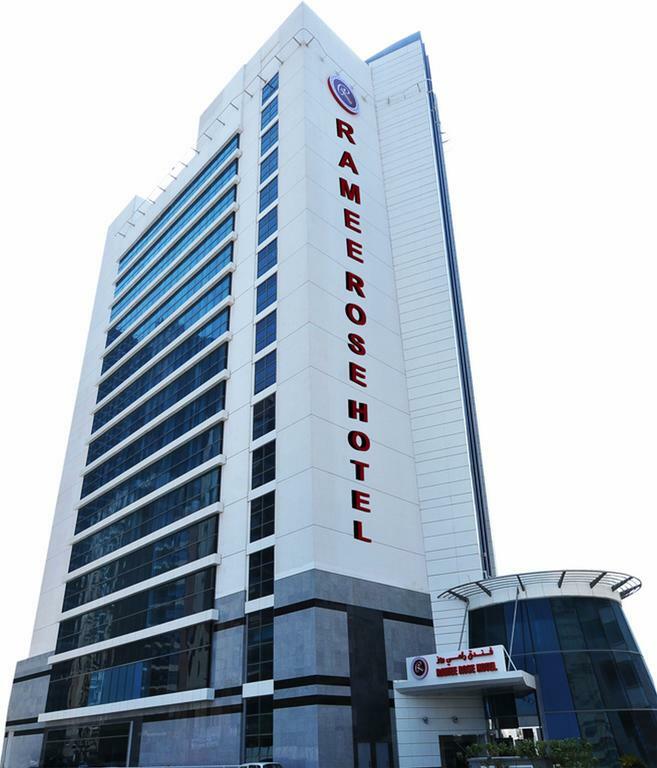 A perfect stopover for all types of budget travelers, the Ramee Rose hotel is located in Al Barsha. 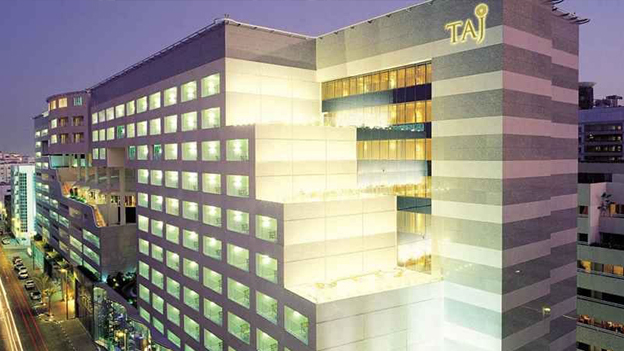 With more than 136 elegantly designed rooms, the hotel offers a wide range of entertainment and leisure activities. One can select between a standard room, connecting room or royal executive room depending on the budget. The 6 restaurants and cafes offer International, Indian, Lebanese, Moroccan and Asian cuisine. For sports lovers, the Good Fellas sports lounge offer ample scope for relaxation and enjoyment. Yet another budget friendly hotel, the Monaco hotel offers world class facilities right in the heart of Dubai city. The executive suite, deluxe twin room and deluxe king room cater to all budget types. For dine in, guests can explore a wide range of cuisine from the Arabic restaurant and All Day dining restaurant. The Moroccan style cafeteria is an ideal place for a business lunch or family outing. The pool, gym and sauna facilities lets you rewind and relax without spend a huge amount. 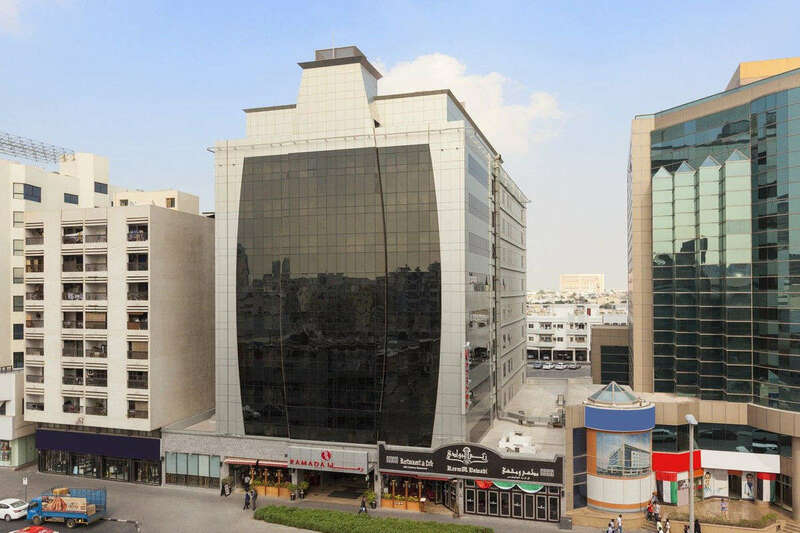 If you are on the look out for a hotel in Dubai that is close to public transport and major shopping malls, then the Ramada hotel in Deira would be the right choice. This 4 star hotel is ideal for both business and leisure travelers. The hotel offers three types of rooms catering to all budget types. While the Reem Al Bawadi restaurant offers authentic Middle Eastern cuisine, the Barrio Fiesta, as the name suggest, offer authentic Filipino fares. Other facilities offered in the hotel includes state of the art gym and swimming pool for relaxation. 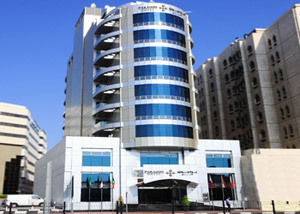 The hotel also has its branches at Jumeirah and Downtown Dubai. 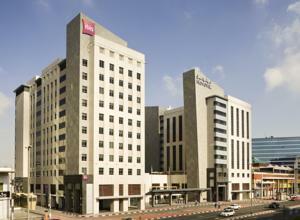 Warwick hotel is located right in the heart of Dubai city and very close to Dubai Mall. This four star hotel has 7 different types of rooms ranging from deluxe room to penthouse two bedroom suites to cater to all types of guests. The O2 spa inside the hotel offers high quality therapeutic massage services in addition to a range of beauty treatments for both men and women. The outdoor tennis court, fitness center and rooftop swimming pool provide ample scope for exercise and relaxation. For dining, guests can choose from a range of Arabic, International and Pan Asian cuisines from the various restaurants. The Jimmy wickets sports bar and lounge let the sports fans socialize and relax while watching their favorite sport in a large TV screen. 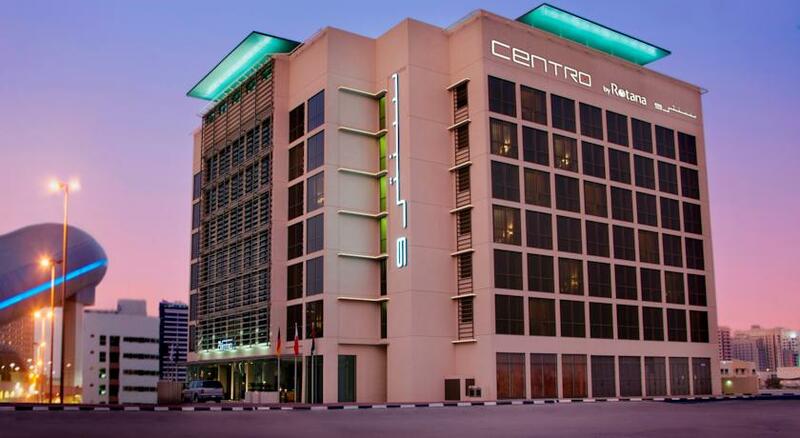 Located in close proximity to the Internet city, Media city and Jebel Ali, hotel Centro is an ideal choice for both business and leisure travelers. The hotel comes with 243 rooms and suites that are designed to provide ample comfort and luxury to the guests. The international restaurant inside the hotel as well as the deli take away provides 24 hours service. The hotel also has a bar and bite section, C Mondo, that provides a cool and funky entertainment avenue. The 24 hour gym and rooftop pool provide ample scope for exercise and relaxation. If you are looking for a hotel in Dubai that provides a fantastic view of the city’s skyline along with modern amenities and easy accessibility, then the Holiday Inn, Al Barsha is the right place. This hotel has 6 different types of rooms to cater to various budget types and requirements. To fulfill your gastronomic needs, the hotel has 3 restaurants that serves authentic Thai, Indian and other oriental cuisines. The Lounge@Barsha and Club Lounge lets you unwind and relax in the lap of luxury. The hotel also has a rooftop pool that provides a fantastic view of the city. 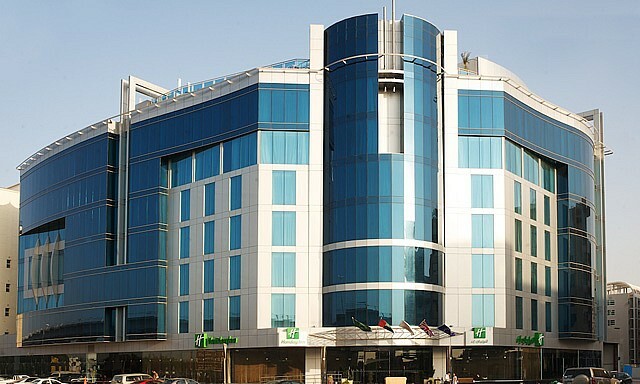 If you are looking for accommodation in other parts of the city, then the Holiday Inn has its branches at Bur Dubai, Down Town Dubai, Safa Park, Jumeirah and Dubai Internet city. For those who are looking for a budget friendly hotel close to airport, the Premier Inn would be an ideal choice. With fully air conditioned rooms and wifi facility, this hotel would be the right choice for both business and leisure travelers. While the Nuevo restaurant offers authentic Mediterranean cuisine, Mr Toad’s – the in house pub – welcome all to its warm and comfortable interiors. For those who are looking forward to relaxing, they can head straight to the rooftop swimming pool or to the fully equipped gym. The hotel also provides daily shuttle bus service to all major attractions of the city. 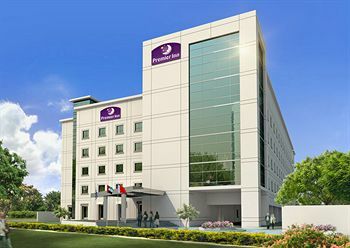 Premier Inn also has its branches at Ibn Batutta Mall, Dubai Silicon Oasis and Dubai Investment Park. 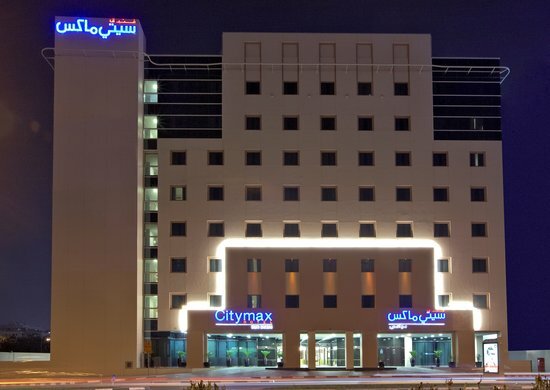 Located in the heart of the city, at Bur dubai, the City Max hotel is at walk able distance from the famous Burjuman mall and Karama center and just 10 minutes drive from the Dubai Mall. This hotel with its 691 rooms would be the right choice if you are on budget travel. The three restauants of the hotel – the Claypot, Sizzling Wok and City café – offers Indian and Asian cuisine at affordable rate. Sports enthusiasts can head to Huddle Sports Bar and Grill where live sporting actions will be shown on a large flat screen. For those who would like to unwind and relax amidst music and cocktail the MAXX music bar provide ample scope. All these hotels redefine the world of budget traveling in Dubai. Whether you are traveling for business, leisure or entertainment, these hotels are sure to add to your pleasurable experience without spending a lumpsum. Moreover, all these hotels have online booking facilities that makes your travel more convenient and pleasurable. How to choose the right hotel for you in the new destination?